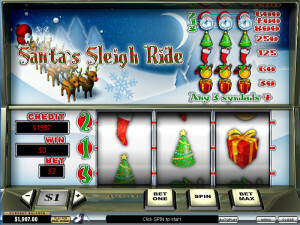 This is a great time of the year to get into the spirit of gambling, even though it might not seem like it. You might be thinking about time with your family, time with your friends, and time away from the office. It’s always a good idea to get away rather than constantly feel like you’re stuck with no way of having a good time. On the other hand, there comes a point where even the most devoted person feels trapped with their relatives. If you can’t get out of the house without getting lectured, then what can you really do? Well, one of the top things that you can do is turn to the world of online casinos. You can access it from any online location, including your cell phone. So really, no one even has to know that you’re playing at a casino if you don’t want them to. You can play for free, if you just want to pass the time. Sometimes when you have very little money this is more than enough to keep you entertained. But the people is that there are plenty of people that really want to make sure that they’re going to have the ultimate experience, and that means playing for real money. If you’re going to do that, then you definitely want to look at the world of slots first. You don’t have to be anyone extraordinary to pull off slots. It’s not like poker, where you really have to break into advanced strategy to stay alive. That’s not what this is about at all. What you’ll find with slots is good old fashioned “luck of the pull” style gaming. 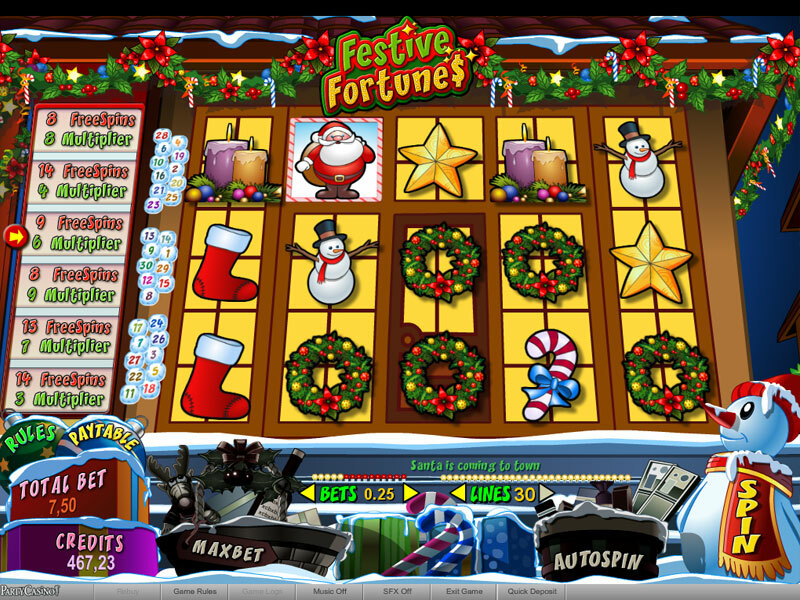 Fruit machines have a rich history in the gambling world, and the online experience is one that you don’t want to miss. If you’re trying to go for a super simple game that isn’t very complicated, then you have to check out Santa’s Sleigh Ride. The graphics are a little cheesy, but this game definitely has its heart in the right place. You get a 3-reel slot with 3 paylines. It’s basic, but we found it very addictive. If you just want to squeeze in a few quick games and then keep going, you can definitely do that. Some will not like this slot because there’s no slot game, but hey — nobody’s perfect. 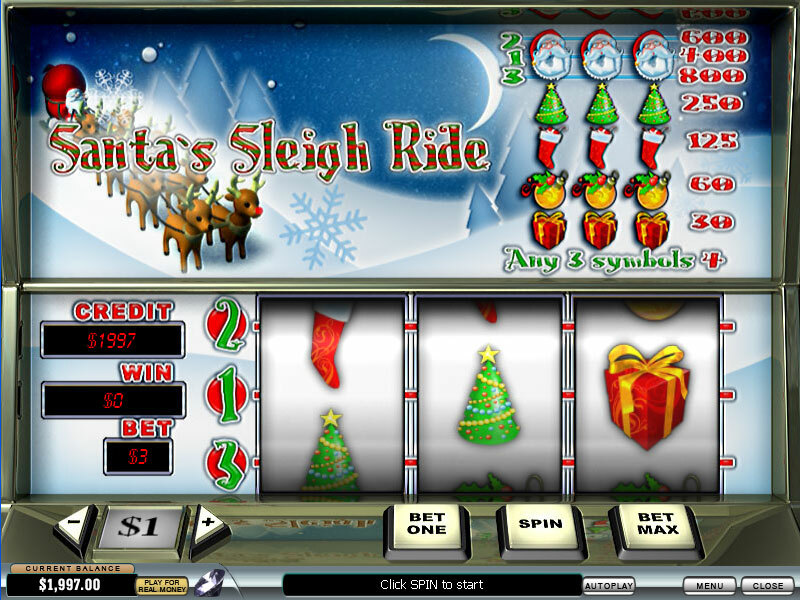 This is a 5-reel, 30-payline slot game that is definitely a bit faster paced than Santa’s Sleigh Ride. You will also get some free spins and a multiplier to let you win big. However, there’s no bonus game with this one at all. I found this one to be super cute — there’s a whale with a red nose. 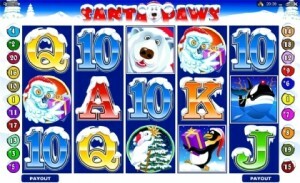 Full color and full sound make Santa Paws a joy slot to play. You’ll have 12 free spins if you can unlock them, along with classic entertainment from a 5-reel, 20 payline slot. There are plenty of chances to win money than what you bet, so you might as well go for it, right? There’s a scatter symbol along with a wild symbol, which can add to bigger winnings than without them. I know, I know — there are a lot of Christmas slots going on. We looked around for some Thanksgiving or another holiday coming around this time of year. 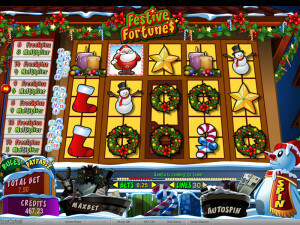 Unfortunately, Christmas was the topic of the themed slot world right now. Still, there are plenty of chances to win good money if you are serious about checking out some slots. These are all great ones, and they’re bound to keep you busy. Why not check it out today?